Presumptive Republican nominee Donald Trump announced Friday morning on Twitter that Indiana Gov. Mike Pence would be his running mate in the 2016 presidential election. 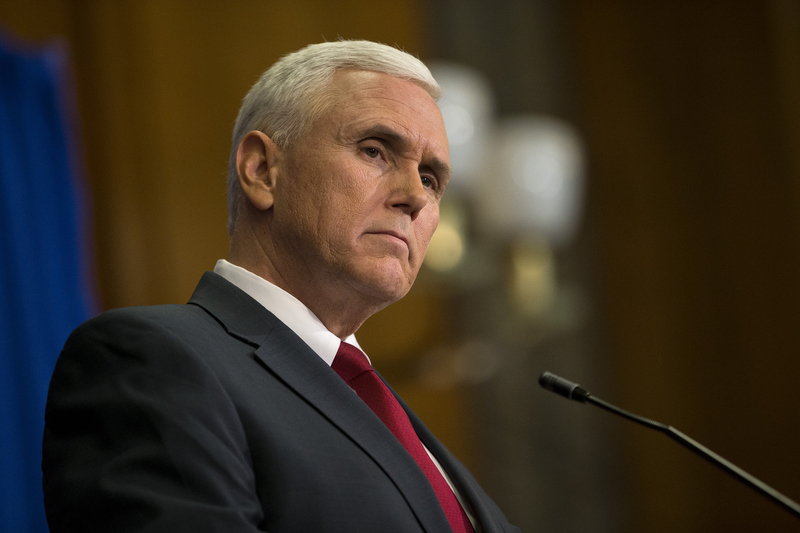 Pence has been at the center of some nightmarish anti-abortion legislation in Indiana. In April, he signed a bill forcing women to disclose their reasons for terminating a pregnancy and criminalizing doctors who provided the service, which prompted women around the state to call his office and report on their periods since the governor was so concerned with their private matters. The protest, called Periods for Pence, is back and targeting the Trump HQ this time. Once the news that Pence would be Trump's running mate this fall was confirmed on Friday, the Periods for Pence Facebook page shared the Trump campaign headquarters phone number, and called on women across the country to call with information about "those hoo-has." Women took to the thread right away, asking, "Does this mean women all over the US can start bugging Trump now with our hoo-ha activity?" Another asked, "Does this mean I can call Trump directly about the blood coming out of my wherever?" referencing Trump's prior comments about Megyn Kelly. STAT News reported that the group's organizer — who is also collaborating with another social media campaign, "Tampons for Trump" — renewed the call to action because, "Since Trump chose Pence then he must have as deep a concern about women’s health care and reproductive issues, so he should probably know about them too." Trump has hardly been a proponent of reproductive rights and justice, not only calling for the punishment of women who seek abortions, but also engaging in a number of misogynistic comments and actions related to women's appearances, sexual assault, and sexual health. For instance, Trump once suggested that women joining the military would obviously lead to higher rates of sexual violence, and tweeted unflattering photos of his opponent Ted Cruz's wife during his primary campaign. Trump has made harsh comments about abortion as well, suggesting, "I am pro-life. ... Public funding of abortion providers is an insult to people of conscience at the least and an affront to good governance at best." It was only a matter of time before women would respond to Pence's addition to the Trump campaign since Pence was once concerned with Indiana women's private sexual and reproductive matters. One woman from Utah wrote to the page, "I asked where to send my used tampons for proper legal disposal in case of a miscarriage." Another woman shared, "I called and left a message. Told them since Pence was a possible running mate I better start giving them a daily report on my reproductive cycle." Another said she called to say she was confused about what to do in regards to her "uterus now that Pence is running." Now that Pence has joined team Trump, the campaign staff might just have to get used to calls regarding reproductive health.